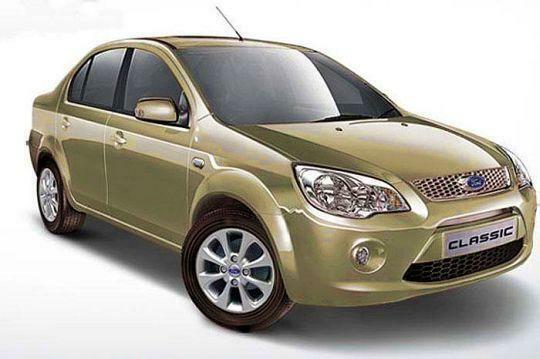 Ford India has reduced the price of the Classic sedan once again. The car is now priced at Rs. 4.88 lakh - Rs. 7.35 lakh (ex-showroom, Delhi). The move will enable the company to make the Classic a little more competitive against the Honda Amaze, Maruti Dzire and recently launch Hyundai Xcent. The Classic is available with two engine options - a 1.6-litre, 4-cylinder, Duratec petrol unit that produces 101 PS and 146 Nm of torque and a 1.4-litre, 4-cylinder, Duratorq diesel motor that develops 68 PS and 160 Nm of torque. Both engines are BS IV compliant and come with a 5-speed, manual gearbox. The Classic gets equipment like Bluetooth audio with speed-sensitive volume control, front fog lamps, rear defogger, turn indicators on ORVMs, speed-sensitive locking, ABS, EBD and dual front airbags depending upon the variant. If you are on a budget, the Classic is one of the best driver's cars on sale today. However, it is also one of the oldest sedans out there and we suspect it will take a lot more than a price cut to prop up its sales. It may be recalled that in January this year, Ford India had slashed the price of the Classic by amounts ranging from Rs. 75,000 to Rs. 1,00,000 across all variants.